The Labor Day weekend is the last big celebration of summer in Northern Michigan and there are so many activities to enjoy. From sidewalk sales to the Mackinac Bridge walk, Up North is the place to be for this holiday weekend. End of season Sidewalk Sales Friday-Monday, 10am-6pm, Village of Bay Harbor. Boyne City has a line up of activities beginning with the final Stroll the Streets on Friday night, and a Car Show on Saturday at Veterans Memorial Park beginning at 9am along with the Farmers Market. Drag races take place from 12-5pm on Sunday at the airport. And Sunday, there is a triathlon....lots to do in Boyne City! The Little But Mighty Bridge Walk takes place at 1pm, Monday. The Red Fox Regatta sails from Charlevoix to Boyne City on Saturday and back to Charlevoix on Sunday. The Garden Club holds a Plant Sale, Saturday, Ferry Beach, 9am-12pm. Sidewalk Sales is an all day event Friday and Saturday, 9am-5pm. 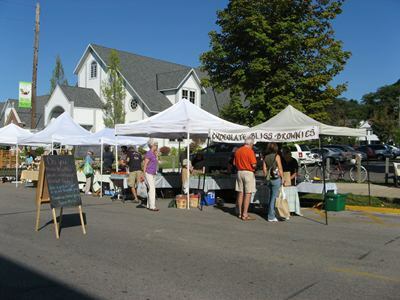 The Farmers Market is in action from 9am-1pm on Saturday. The American Legions hosts a pancake breakfast Sunday, 8-11am. Horton Bay celebrates with a candle light bridge walk at 7:30pm. Petoskey hosts a Food Truck Rally in Old Town, Emmet Street, 11am-5pm with a variety of food offerings and music on Saturday. Music is in the air for the Labor Day Jazz weekend at the Grand Hotel. The Horn's Bar Labor Day Regatta sets sail at the Mackinac Island Yacht club on Saturday. 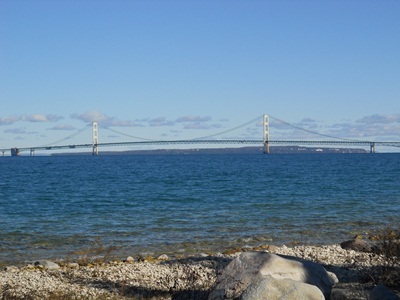 The event of the weekend is the Mackinac Bridge Walk on Labor Day. Walkers can begin at 7am.